A single word taken from the audience, inspires one of the players to tell a true story from their life, which becomes the basis of a series of scenes. One word produces three different worlds in a matter of minutes! The Same Faces are one of the biggest improv communities in the Midlands. 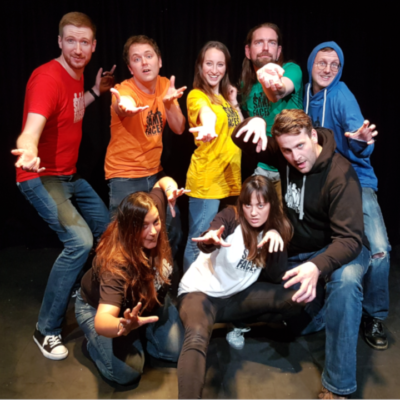 Based in Leicester with additional shows and workshops in Northampton, TSF has been delivering top quality improv for over six years, picking up two consecutive award nominations from Leicester Comedy Festival along the way.